In San Francisco, California stands the brand-new Salesforce Transit Center. It's six-stories high, 1,500 feet long, and costs $2.2 billion. It replaced the historic, yet earthquake-damaged Transbay Transit Center and has taken almost 20 years to start and finish. The only news you may know is about cracks found in two steel beams, or about the cost overruns. If you read about Salesforce Transit Center, you may find references to any number of events that happened before 2017, and not between 2017 and now. None of those attempts to fix the news are true. But what's true is this: a woman named Maria Ayerdi Kaplan was responsible for the conception, financing, and construction of what stands today. 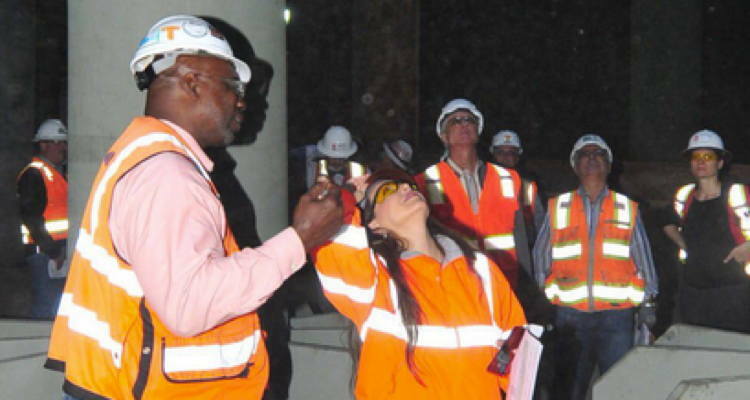 There were both private and public officials that worked to stand in her way during the process toward building what is Salesforce Transit Center. She withstood those challenges, and retired from running the organization she created and helmed since 2008, the Transbay Joint Powers Authority (TJPA), in 2016. Now, Maria faces an attack that at times take on the appearance of racism and sexism, and from people who would seek to put their mistakes on her. That's wrong. First, they worked for her, and so she trusted them to get the project done. Second, they have an expertise she lacks, which is why you hire anyone to do a thing to start with. Third, Maria left in July of 2016, the project wasn't opened until August 12th of 2018. With that, the focus has not been on what happened in the development of the Salesforce Transit Center from late 2016 to August 12th of 2018, and the over 10,000 people who walked on the pavement of Salesforce Park, but on inspections done in the past. There have been deliberate misrepresentations of the past, only to help make certain other people look good. The fact is, Maria Ayerdi Kaplan's reputation has been wrongly attacked and the people who have done it owe her an apology. San Francisco should first know about and second be proud of the work Maria Ayerdi Kaplan has done. That includes the organizations that were hired to work for her.